The Department is led by the Superintendent of Police, who is appointed by the Mayor. 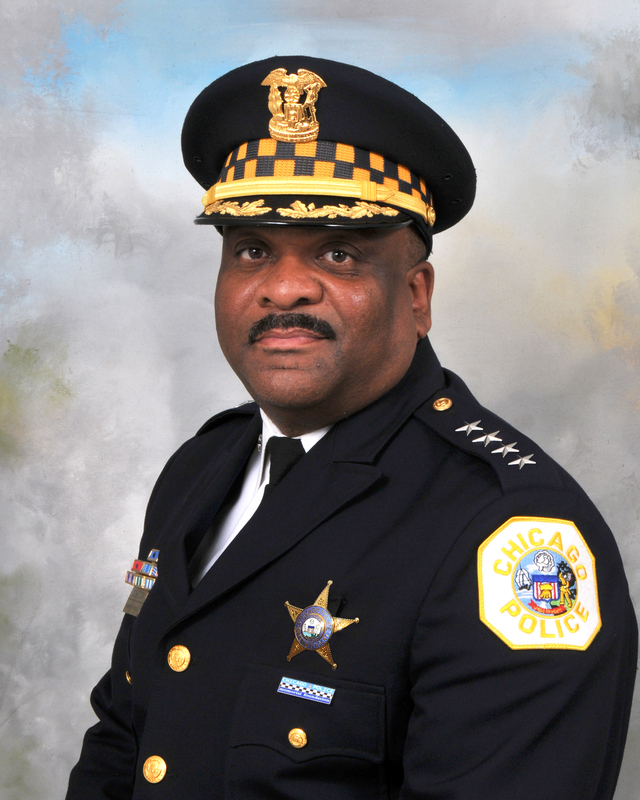 In addition to overall Department management, the Office of the Superintendent is responsible for critical functions such as planning and implementing the Chicago Alternative Policing Strategy (CAPS), improving the Department’s response to domestic violence, facilitating and coordinating law enforcement services to the senior citizen community, planning police coverage at public gatherings, addressing legal and legislative matters, administering labor agreements, and providing a liaison to the news media. The Office of the First Deputy Superintendent is commanded by the First Deputy Superintendent, who reports directly to the Superintendent of Police. The office consists of the following sections and units: Crime Control Strategies Section, Deployment Operations Section, Detached Services Unit, Special Events Unit, Street Operations Unit. The office also consists of the following bureaus: Detectives, Organizational Development, Organized Crime, Patrol and Support Services. The Bureau of Patrol is commanded by a chief who reports directly to the First Deputy Superintendent of Police. The chief is assisted by an executive officer the rank of deputy chief. The bureau is responsible for general field operations, including the protection of life and property; apprehension of criminals; and enforcement of traffic laws and ordinances. The Bureau of Detectives is commanded by a chief who reports directly to the First Deputy Superintendent of Police. The chief is assisted by an executive officer the rank of deputy chief. The bureau is responsible for investigating selected felonies and selected misdemeanors; the processing of juvenile offenders and the care of juveniles who are in need of protective services; missing and found persons; and other incidents that may be assigned to the bureau by policy or through specific instruction of the Chief, Bureau of Detectives. The Bureau of Organized Crime is commanded by a chief who reports directly to the First Deputy Superintendent of Police. The bureau also consists of an executive officer the rank of deputy chief, who reports directly to the chief. The bureau initiates and conducts investigations of certain types of organized crime. Bureau members provide information and investigative assistance to all units of the Department and to outside agencies, as well as participate in various federal and state task forces. The Bureau of Organizational Development is commanded by a chief who reports directly to the First Deputy Superintendent. The Bureau is responsible for implementing recommendations from the Mayor’s Police Accountability Task Force and the Department of Justice pattern or practice investigation of the Chicago Police Department. The bureau coordinates and directs activities which specifically relate to data collection; criminal justice research and analysis and reporting; evaluates compliance with federal, state, and local laws in Department directives; researches, prepares, updates, and issues Department directives; identifies and provides for the training needs of the Department; provides field operations with support that is consistent with beat, district, and strategic operational planning activities. Additionally, the bureau is responsible for coordinating and directing Department activities which specifically relate to budget and fiscal control and personnel administration. The Bureau of Technical Services is commanded by a chief who reports directly to the First Deputy Superintendent. The Bureau is responsible for coordinating services and activities related to information systems, technology, and program development; receiving, storing, and disposing of inventoried property; and the management of Department records and police reports. Additionally, the bureau is responsible for coordinating and directing Department activities which specifically relate to facilities management; and various general support functions. The Bureau of Internal Affairs is commanded by a chief who reports directly to the Superintendent. The chief is assisted by an executive officer of the rank of deputy chief who oversees the functions of the Administrative, Intake/Analytical, Advocate, and Records Sections. The bureau coordinates and exercises supervision over disciplinary matters involving alleged or suspected violations of statutes, ordinances, and Department rules and directives; coordinates the assignment of complaint register investigations and serves as a repository for all Department records of complaint register investigations; conducts overt and covert field investigations; and is responsible for detecting corrupt practices involving Department members. This bureau also coordinates with the Independent Police Review Authority/Civilian Office of Police Accountability (COPA) on disciplinary matters that affect members and ensures the consistent administration of bargaining agreement rights for members represented by existing labor agreements.